Interesting read about the art of revivals in the Guardian. 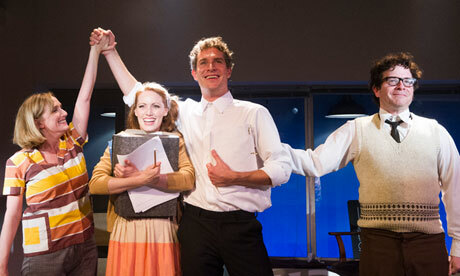 I’ve heard great things about Sondheim‘s Merrily We Roll Along which I’m going to see at the Menier Chocolate Factory next week, but also was aware that it was one of the biggest flops in New York musical theatre history. Apparently in the instances where theatrical turnarounds have occurred, the works were ahead of popular taste–the initial failures were not in the plays but in the audiences. This entry was posted in Theatre and tagged Guardian, Henrik Ibsen, Menier Chocolate Factory, Merrily We Roll Along, Musical theatre, New York, Stephen Sondheim, Theatre. Bookmark the permalink.